* Track 10 Bonus Track on CD1 of "Seventh Star - Deluxe Edition" 2CD 2010 reissue.
" Live at Hammersnith Odeon, London, June 2, 1986 "
Produced and engineered by Jeff Glixman. 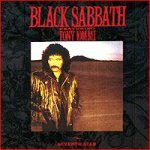 Recorded at Cheshire Sound Studios, Atlanta, GA.
Eric Singer also toured with Black Sabbath for this album. 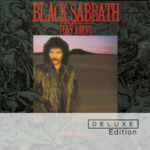 According to BLACK SABBATH News, the next two reissues in the Deluxe Edition series are the highly overlooked Seventh Star (1986) and Eternal Idol (1987) albums that featured Glenn Hughes (ex-DEEP PURPLE) and Tony Martin respectively on vocals. After just a handful of dates on the 1986 Seventh Star Tour, Hughes was let go, and Ray Gillen was brought on board. He finished the tour, and work began on the next album, and it was mostly completed. Gillen left to found BADLANDS (with now KISS drummer Eric Singer also from Sabbath), and this left Black Sabbath with a mostly completed album, and no singer. Tony Martin was brought in and re-recorded all the vocals in two weeks. The album came out with Tony Martin, and the only remaining bit of the Ray Gillen original vocals was some laughter in the track 'Nightmare'. The original Ray Gillen version of The Eternal Idol has been traded in bootleg circles for ages now. Sanctuary/Universal UK will be releasing The Eternal Idol Box Set on November 1st. Sanctuary/Universal UK will also release the Seventh Star Box Set on November 1st. The first disc of Seventh Star will include the album as well as the remixed version of 'No Stranger to Love', which appears in the music video of the same. Disc 2 is a live concert recorded on June 2, 1986 and has Ray Gillen on vocals.